Nowadays, we often see visual content everywhere on social media, websites and various aspects of content marketing. As humans we are visual creatures and prefer to interact with marketing materials such as images or videos instead of reading large amounts of text. By 2019, Internet video traffic will account for 80% of all consumer Internet traffic. Visual content is crucial for the success of any business because it helps draw attention and stimulate customer engagement. While video marketing is present in print advertising, outdoor billboards etc, it’s even more important for online marketing especially through social media platforms such as Facebook, Twitter, Instagram, Snapchat, Linkedin and more. Research demonstrates that 74% of social media marketers use visual assets in their social media marketing, 68% in blogs and 60% in videos. Within the realm of social media, videos are becoming increasingly popular because they create conversations and captivate consumers attention. Some of the best videography designs are short, straight to point yet engaging. It might be easy to get overwhelmed by visual content on social media; however, by following these quick tips you can succeed and stand out amongst your competition. Whether it’s writing down your ideas on a piece of paper or a document on your computer, it’s crucial to plan and organize your thoughts at the beginning of a video project. Just like mapping an essay, write down all the ideas that come to mind when trying to execute the video project. Do a bit of research to find out what’s popular on social media through hashtags and trending features. Get a list of buzzwords, most shared items, most popular content and figure out key elements between these videos. Find out why they are popular, what makes them stand out and how you can leverage that for your own video. By doing your background research you can ensure that your video will have relevant content for your audience as well as popular aspects which will make your video shareable among social media groups. Now that you have a better idea of what’s popular, let’s start scripting. This process is often challenging but could also be fun. Here you will see all your ideas coming together to create a cohesive and creative story. You can be as imaginative as you want during this step as long as it fits the general guideline of the video and your brand identity. Make sure your script is short and not too repetitive. Guide your customers through a journey and don’t forget to have a clear call to action at the end of the video. The next step is to visualize your ideas. Here you will follow your script step by step through storyboarding and conceptualization. Figure out which scenes are important for your video. Often the design team and video team come together at this stage to brainstorm and to create a sequence of images which they deem are essential to the story. You’ve done all this work for preparation so let’s make sure we can successfully execute it the right way. During the video shoot, often we get so stressed and caught up in the moment that we forget to stick to the plan. It’s important to stay calm, organized and follow the path that you’ve created for yourself. This is where everything comes together and if you’ve done your research, you should be fine at this stage. YouTube, Facebook, Instagram and Twitter are some of the biggest platforms for video marketing; therefore, when you decide to publish your videos make sure you are using the right format for these platforms. While traditionally, YouTube has always been the natural place to generate video content; however, in recent years Facebook is catching up to its biggest rival. Facebook generates 8 billion video views on average per day and YouTube reports mobile video consumption rises 100% every year. It’s important to pick the right platform to showcase your video and market your products. Virtual Reality (VR) is not only the latest trend but also a key area of focus for Facebook. With modern technology such as VR many Facebook users have watched more than 1 million hours with Samsung VR gear. Ever since Facebook’s acquisition of VR company Oculus, Mark Zuckerberg believes that VR would play a vital role in the future of video content creation for the social media giant. Facebook believes that VR would offer its social media users the opportunity to share unbounded spaces and experiences with the people in their life. As a business, you should take advantage of this opportunity since posts with videos receive nearly 300% more clicks and perhaps even more for VR videos. 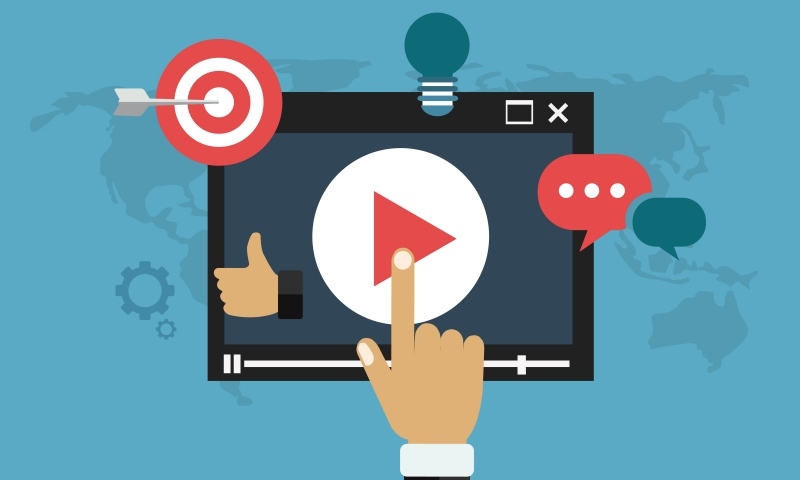 If you haven’t made videos a crucial part of your marketing campaign, you should do so now. Videos can increase engagement rate, maximize conversions, effectively showcase your products and improve brand awareness. Not all videos have to be created with a big budget; you can easily create an affordable video by using video templates and personalize it to fit your branding. No matter where you start, remember to follow these quick tips and you will be well on your way to becoming a successful video content creator. Come to Study IT In The USA!